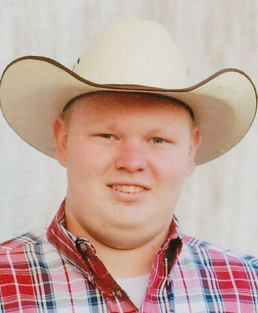 Colby Mitchell McKeown, 20, of Apache passed away on March 26, 2019. Services for Colby will be held on Friday, March 29, 2019, at 2:00 p.m in the Warrior Event Center located at the Apache High School. Burial will be in the Fairview Cemetery under direction of Crews Funeral Home in Apache, Ok.
Colby was born on February 6, 1999, in Lawton, OK to Jackson McKeown and Carie (Lunsford) Anderson. Colby grew up and attended school in Apache. He was passionate about Warrior Football and attended Caddo-Kiowa Technology Center in Fort Cobb where he obtained his welding certification. While in high school, he joined the Apache Volunteer Fire Department. Colby attended the Oak Street Church of Christ in Apache and Southern Oaks Church of Christ Youth Group in Chickasha. Colby started working for the City of Apache while in high school. Soon after graduating, Colby went to work for Jerrico General Contractors in Magnolia, Texas. Colby then returned home to work for the city and Dolese Brothers at Richards Spur for a short time. Colby enjoyed hunting and fishing. He was very passionate about spending time with family and friends. He was a dedicated volunteer fire fighter. Colby was always full of life around his friends and family, also well known for wearing his camo and overalls. He had a contagious smile and was known for his big bear hugs. Colby always did for others and would give you the shirt off his back when needed. Caleb Lunsford, Jaebeth McKeown, Shai Anderson Hayes, Gavin Anderson, Carsten Coffman, Cohen Coffman, Teegin Coffman; nieces and nephews: Brantley Lunsford, Payton Lunsford, Nicholas Hayes, LeeAnn Anderson, Daxton Anderson; grandparents: Calvin and Jackie Lunsford, Coy Martin and Elizabeth McKeown, Diane Anderson, and David and Vicki Boiles; great-grandparents: Cecil Burns and Maureen McKeown; aunts and uncles: Brian and Holly Lunsford, Kelly Lunsford, Samuel and CJ Ottenwalder, Robin Lunsford, Matthew and Mindy McKeown, Natalie and James Krueger, Amy and Rob Schlup, Amanda and James Morton, Jamie Boiles, and Ron and Laura Weber; and many great-aunts, great-uncles, extended blended family and cousins, friends. He was preceded in death by Grandpa Jack McKeown; Grandpa Danny Anderson; Great-grandpa Alvin Lunsford; Great-grandma Ginger (Lunsford) Burns; Great- grandparents Haskell and Florence Roberts; Great- grandpa John (Jackie) McKeown; and Great- grandparents Richard & Mary Potts. Wade McKnight will be officiating, assisted by Ron Blankinship both from Southern Oaks Church of Christ in Chickasha. In lieu of flowers, donations may be made to the Apache Firefighter’s Association or the Apache All Sports Booster Club.